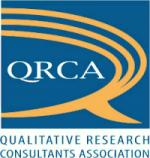 QRCA VIEWS magazine is an award-winning quarterly publication featuring ideas and tools for qualitative research. Subscriptions are complimentary to members of of the Qualitative Research Consultant’s Association and to non-member qualified research buyers. Read current and past issues of VIEWS online now. I would like to join your surveys and or focus groups . I would like to join your surveys! Hi. Am from the Philippines and would certainly like to be one of your sources for your surveys. I have a vast experience in in the field of marketing and management of big organization with no less than 600 employees. Am semi retired now but I can certainly contribute a lot of ideas and opinions on various marketing and business issues. Hi Anthony, thanks for your post. We can’t guarantee your selection in a research study, but we do promise to keep you apprised of any research opportunities in which you may qualify.